Aptitude is the very first hurdle to cross during placements; hence we follow a very systematic approach to enhance the Aptitude of our students. Regular Aptitude sessions from expert faculties with equal focus on solving problems by traditional method and by application of tricks and shortcuts. Regular Technical Session from Industry Consultants help students develop the required skillsets and satisfy Industry Standards. Conduction of Doubt Sessions, Revision Sessions, and Technical Discussions help students to develop technical concepts and also help them to expertise in related technology. Communication plays a vital role during selection process as well as during Interviews. Candidates good is communication find it easier to clear Interviews during Placements. 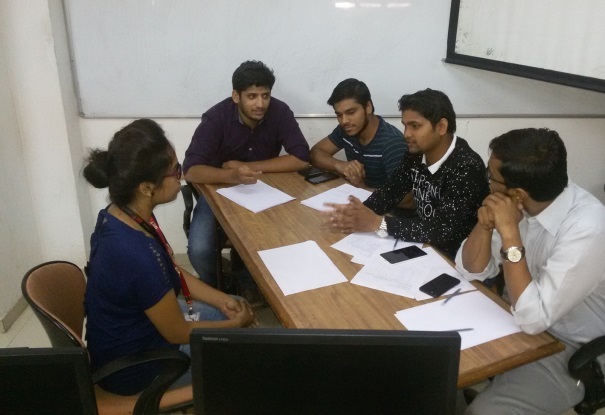 Regular communication sessions along with activities such as Group Discussion, Technical Presentations help students to develop desired communication skills. An environment conducive to English Communication is encouraged. Technical and Aptitude skills developed during the conduction of the course are tested in this phase. MET uses an Online Examination Module which regularly conducts Technical and Aptitude Exams. Students are given immediate feedbacks and regular reviews help students to improve and work on their weaker areas. Personality development program by an expert focuses majorly on confidence building and Interview preparations. Apart from these session Series of Mock Interviews by Alumni and Faculty are conducted on Saturdays. This practice of Mock Interviews gives students experience of facing the Interviews. Regular Alumni Talks in which alumni share their Interview experiences and also guide student for company specific Interviews. Aptitude screening is the biggest hurdle students’ face in the campus process. Number Basics, Table, Squares, Squares roots, Cube, Cube roots, Divisibility Rules, HCF & LCM, etc. Percentages, Profit & Loss, Averages, Problem on Ages, partnership, ratio & Proportions, speed time & distance, time & works, problem on Trans, clocks & Calendar, series, blood relations, direction etc. Conducting regular Aptitude Exams to analyse students and give them regular Feedback by providing required short cuts to save time. Firms like to hire professionals who are good in technical and soft skills. MET-IIT has specific preparations, tactics that will help an individual to develop professionalism & accept patterns of behaviour with communication & interpersonal skills. We have been training and aspiring students by delivering highly focused courses. An industry professional with proven expertise in a topic provides added credibility to our students. Mock Interviews / Tips to answer. Sessions on how to be presentable. Work Ethics in Corporate firms. Activities to overcome stage fear, Nervousness etc. Mock interviews play an important role in Placement preparations where students overcome the initial fear of facing interviews. At MET we organise mock interviews regularly on week-ends by inviting Industry Professionals and our alumni to interview the current batch on technologies they have learnt. They formally share industry experiences, company Placement procedures, key areas of preparation, the do’s n don’ts during the course period & during placements and so on. This benefits the students immensely & builds up their confidence level and also helps them perform better during the actual placement. Pramod Giri, Software Developer, Digital Info Ltd.
At MET-IIT our main objective is to deliver the course effectively and also to shape our trainees into software professionals readily deployable in the industry. Keeping in mind the industry expectations, we supplement the technical contents of the course with many extra-curricular activities like Soft Skills training programme, Aptitude test, Technical Mock Interview and Project Presentation. We are proud to be one of the C-DAC ATCs with excellent placement record. Our placement cell dedicatedly works around the year to arrange for placement interviews and job opportunities for our students. 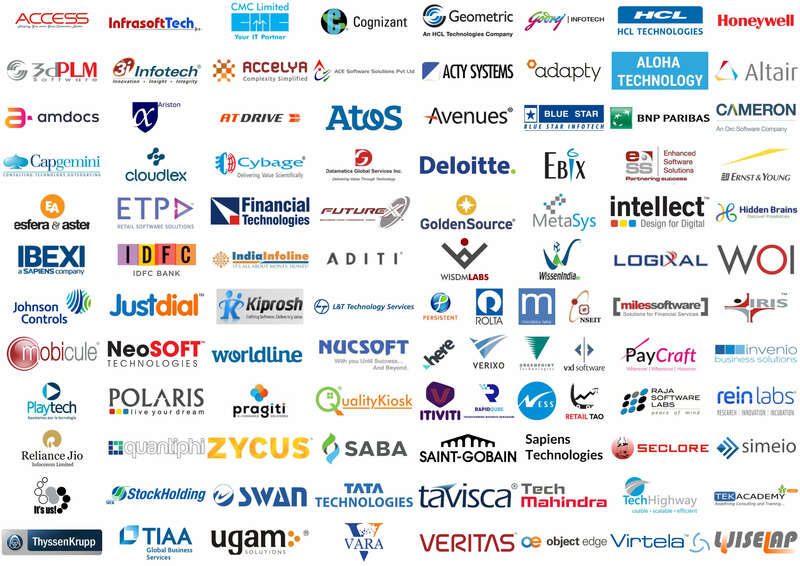 Many leading IT Companies have visited our campus in the past and the list is still growing. Our placement team is dedicated to identify the expectations of recruiters precisely. Placement Department has an important role to play in student’s future as it serves as an indispensable pillar of the Institute. The department continuously strives to help students in pursuing their career goals by acquiring employment-seeking skills and ultimately to attain desired employment. This is accomplished through building a strong partnership amongst students and industries. 96% Placements PG-DAC February 2018 Batch.